It seems like Sanjay Dutt is all geared up for his comeback movie 'Bhoomi'. Recently, the first poster of the movie was unveiled by the makers and created a buzz with the fans. Today, the makers have revealed a new poster for the Omung Kumar's directorial and it is surely going to makers fans even more excited. Trade analyst Taran Adarsh shared the poster on Twitter, which Omung retweeted. 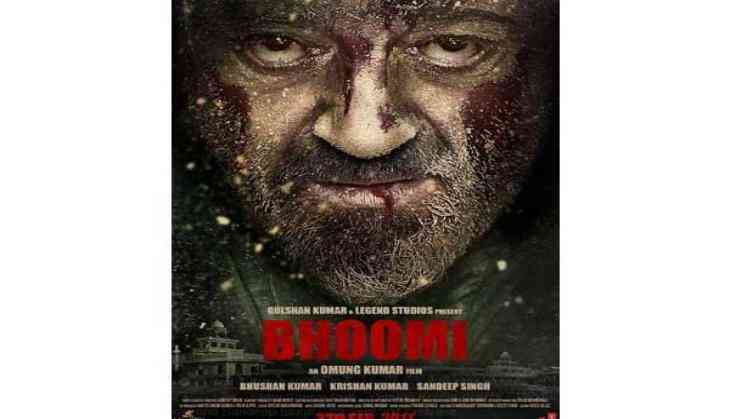 In the poster, the ' Agneepath' star looks fierce and the bruises on his face promise an intense story. The film's leading actress Aditi Rao Hydari also shared the poster and captioned it as, "On his birthday. Here he is. The eternal rockstar #SanjayDutt #Bhoomi @duttsanjay @OmungKumar @TSeries." The trailer of 'Bhoomi' will be out on 10 August and the film is slated to release on 22 September.